The following documents and circulars shall ease our cooperation. These documents and tools are subject to constant improvement. Please come back to us if you have any suggestion for such an improvement. We share these documents and invite other organizations working in the health sector of development cooperation to comment on them, and to work with them. If you seek to do so, please send us a brief note using the contact form. Thank you! AGEH is the state-recognised personnel service provider of the German Catholic Church. An internal working group of the AGEH developed a paper on the “theology of personnel development cooperation”. The paper provides important guidance on our work in the field personal development cooperation. It stresses the importance of religious pluralism and the pursuit of efficiency in development cooperation. A number of our partner organisations work with children (either as patients or trainees in a health profession). We are committed to protecting children and young adults from violence, exploitation, abuse and neglect. We therefore take protective measures to safeguard children and youth. Our work follows a rights-based, participatory approach. If we, or our partners, have to make decisions on behalf of minors, we do so with their best interests in mind. However, safeguarding children is not only a health issue but also a governance challenge, requiring us to monitor organisational change on a regular base. Our partners are obliged to have or to develop a child protection policy. Within the framework of this policy, suspected cases of maltreatment or abuse can be reported. However, if you suspect a child is being abused or neglected, or if you yourself are a child who is being maltreated, you might want to contact us confidentially, using the following form. Note that we regard this to be part of an escalating mechanism. We do not intend to bypass the catholic church principle of subsidiarity that is dear to us: Whereever possible, social and political issues should be dealt with at the most immediate levels. However, and especially if people are in dire straits, an escalation mechanism ist needed in order to ensure that unresolved problems don't linger. Issues of maltreatment or abuse need to be promptly addressed. As part of the Austrian Catholic Church, we follow the regulations of our church on dealing with sexual violence. Both our church’s commitment and the UN Convention on the Rights of the Child (UNCRC) constitute the framework of our child protection policy at plan:g. Please refer to our child protection policy as part of policies and values to share. If you are about to report a case, trust matters. You can trust us whether you are a child, an employee of a partner organisation, or a concerned third party. We are not an organisation focussing on working with children, and nobody on our team has professional training in working with children as a doctor, social worker, or in other capacities. However, if need be, we facilitate links to professionals (lawyers, psychologists, etc.). Please be aware that we do not necessarily involve national courts/jurisdiction if we have any doubts about justice being served. 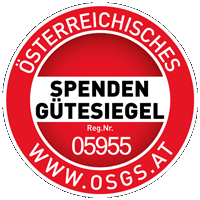 Please note that both failure to report and obstructing reports of abuse may be deemed an offence under Austrian or applicable national laws. Therefore, please do not hesitate to report abuse – it is your obligation, and you might be able to help. If you are unsure whether to report a case, you might want to check online resources such as www.stopitnow.org for help. And if you are still unsure – please report it. Even if you only suspect abuse or neglect, you should report it to our partner organisation, or directly to us. You are not expected to investigate, but you should follow your instincts and report a case on the basis of your suspicions. Your completed and submitted form will be sent to zwo different people within our organisation (four-eye principle), namely to Daniela Klocker (Programmes and Projects) and to Ft. Edwin Matt (Chairman of the Board). We assure you that all information will be treated confidentially and given priority.